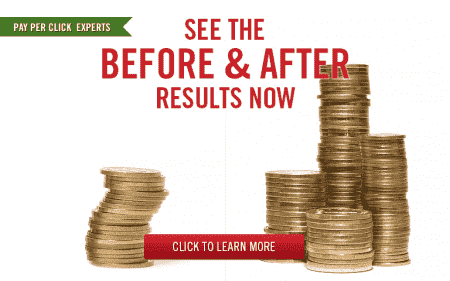 Personal Injury AdWords Results - Often Under $200 Per Lead! Webrageous has been helping personal injury attorneys for over 10 years now. We have been very successful in this area and in 2017 are delivering leads for numerous clients at or under $200 per lead. We don’t sell leads but rather manage your AdWords account and strives to deliver the lowest cost per lead possible while maintaining the highest lead quality. Below are summarized results for three law firm clients that are targeting Auto and Personal Injury Leads. One is a small advertising campaign, with a monthly budget just over $5,000 per month. This client in just a few months has already increased their budget for PI twice and we expect they will continue to grow and hire new attorneys over the next few years. The other is a much larger firm that spends up to $50K each month on Auto and PI leads as well as another $50K targeting other types of cases. And the third is a smaller firm located just outside of Los Angeles with big ambitions to grow. A large number of firms that target personal injury are also interested (or aspire to be interested in) pharmaceutical liability/medical device liability campaigns. This page has more information about our experience in this area. And you can also read about our experience with bankruptcy marketing and family law marketing. The average cost-per-click (CPC) varies considerably based on location—which is why the client with the smaller budget does show a lower CPL due primarily to the city in which they are advertising. The conversion rate (percentage of clicks that become a lead) for these clients ranges between 33% and 71% depending on a number of factors, with device targeting (phone/desktop) and CPC as primary variables. This client recently started with Webrageous and the results shown below are for the past 3 months of activity. For this client we are focused primarily on PI leads. Since this client does not have a strong landing page we are successfully driving leads via call-only campaigns. As a result, the conversion rate is quite high (averaging around 70%). If you are used to conversion rates of 1% to 10% for Google.com search where a conversion is filling out a contact form this might not make a lot of sense. Remember that a conversion for call only occurs when a call has lasted for at least 30 seconds. Think about it-would you rather have a click to your website where someone has every opportunity to leave without providing their contact information or would you rather have someone on the phone and have a chance to close them immediately? The drawback of call-only is that these ads are only shown on devices that can make calls, and CPCs for mobile devices tend to be 3-4X higher than for computers. The cost per lead (CPL) is under $200 for all months we have worked with them for personal injury leads on AdWords. The cost per lead (CPL) is the cost to receive one contact form submission or phone call. We have worked with this law firm for around 10 years targeting Auto Injury Leads and Personal Injury Leads as well as a wide variety of other cases. Many months they spend as much as $50,000 a month on Auto/PI marketing. The combination of desktop and call only campaigns results in a lower CPC as well as the opportunity to drive leads via a form on the landing page. The previous example shows a lower cost per lead because it’s a slightly less competitive area, and we are only driving calls which has a lower cost per lead in many areas (but also limits volume). This client worked with us years ago and wanted to see if anyone else could provide better results so they left for a short while. They couldn’t achieve better results elsewhere so they have returned for a second helping of Webrageous Results. We just re-launched their campaign I think in April 2017 again. And the client is very happy with the results so far. I expect over the next few months we can reduce the cost per lead from the numbers you see here. We typically don’t turn on workers comp keywords for our PI clients but this client specifically requested that. Please note that these cost per leads do not include our management fee because that varies depending on your spending. Note the average call length in the last graphic – a good guide for call quality. If you use Kall8.com or our new favorite CallRail.com you can record incoming calls for any lead source and measure call quality. If you aren’t ready to switch management companies just yet, why not get that setup today and see what your average call length is. It’s a great way to see if your intake staff is handling calls appropriately. We also recently started targeting personal injury leads for a client outside of Los Angeles and those results are also under $200 per lead. If you also are targeting other kind of cases please check out our page highlighting our bankruptcy attorney results and family law attorney results. The greatest risk is low quality leads. They have to target lower quality keywords to stick to the low cost per lead that enticed you to sign up with them in the first place. Many times these are shared leads. The leads get farmed out to five different attorneys or more. That’s how someone can afford to offer you leads for significantly lower than $200. They need to cover their risk as there can be some variations week to week and month-to-month with the cost per lead so they artificially inflate their cost per lead to cover their risks. Here at Webrageous we have over 10 years experience managing Google AdWords advertising for personal injury attorneys. And a great reputation backed by tremendous employees who care. Please fill out our contact form or call us at 800-645-9521 if we can be of help to you.